Chelsea manager Maurizio Sarri has claimed that this side's improved work in defence has helped their form take a U-turn over the last few weeks, having only recently suffered big defeats against the likes of Manchester City and Bournemouth. 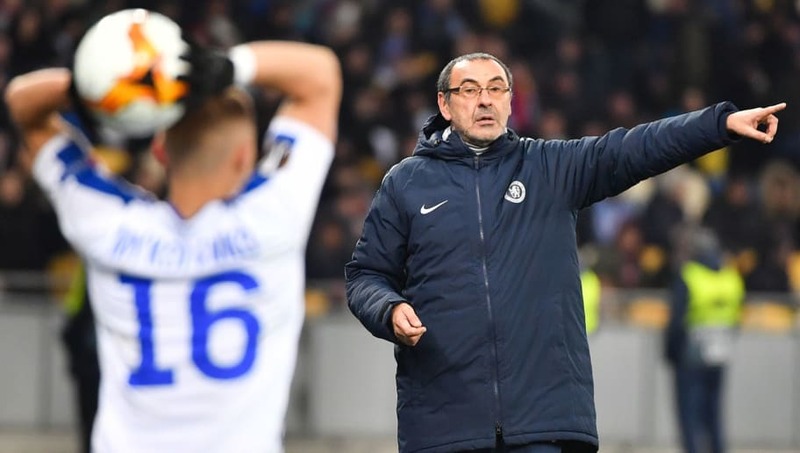 The Italian is slowly getting the fans back onside at Stamford Bridge after heavy speculation over his future, and Sarri insisted that a big reason for the club's turnaround is their ability to keep the ball out of their net. But Sarri also stressed that there is still a lot more to come from his Chelsea side before the end of the season, claiming that the Blues now need to maintain some consistency in the race for the top four. "First of all, [we have improved] in terms of solidity I think," Sarri said, quoted by football.london. "We are able to concede fewer than before. We are consistent with results. Not at the moment with the performances, especially in the offensive phase. "Sometimes we've played with very good quality in the offensive phase, and sometimes not. But at this moment, for us, the most important thing is to be solid. "I changed it in the last match because the opponent didn't come to attack. And so, in the last 20 minutes, we could make the change. But I think that the system is not so important. Seen some Chelsea fans sell their tickets because they hate “Sarri ball” and want him gone. Chelsea are three points of top four with a game in hand and are basically in the quarter finals of the Europa league. Some of the Chelsea support is a disgrace..
"What is important is our way of football. We don't play in the same way with another system. Before changing, it's better to consolidate the first system, to consolidate our way of football. Then we can change, also, in matches. But first of all, I want to see my football." The Chelsea manager insisting that they will maintain their Sarriball philosophy won't sit well with everyone inside Stamford Bridge, but the club have remained unbeaten since the Carabao Cup final and are still in the race for Champions League qualification. They're currently just one point behind Manchester United, although Sarri's side are sitting three behind fourth placed Arsenal and four off Tottenham.